anothermountainman (a.k.a. Stanley Wong) was born in Hong Kong in 1960. He is an artist, photographer and designer. He came to international attention with his redwhiteblue series, which he presented at the 51st Venice Biennale in 2005 representing Hong Kong. 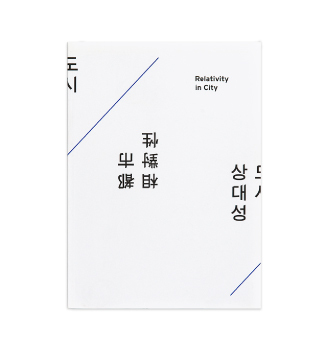 anothermountainman was awarded the Hong Kong Contemporary Art Awards 2012 and the Hong Kong Arts Development Awards 2011 – Award for Best Artist (Visual Arts). anothermountainman currently lives and works in Hong Kong. ART | BASEL HK 2013 "From Su Shi to Bada Shanren"
The red-white-blue nylon canvas originated in the 1960s, and has since become a metonymy of the material culture of post-war Hong Kong. anothermountainman appropriated this pattern in his iconic redwhiteblue series. The red-white-blue fabric is a cheap nylon plastic canvas that is durable and easily obtainable. This cheap material is ubiquitous in marketplaces, construction sites and border-crossings, embodying an extreme versatility spurred by the ingenuity of resource-strapped grassroots Hong-Kongers in the 1970-80s. For the artist, the multiplicity and adaptability of the red-white-blue fabric are analogies of the spirit of Hong Kong: robust, resourceful, industrious and resilient. In a time of post-colonial reckoning and political instability, the redwhiteblue series evokes the nostalgia of a bygone era, a time of economic opportunity, upward mobility and cultural flourishing. From Su Shi to Bada Shanren, recreates the popular iconology of classical Chinese painting in a highly original rendition. The act of painting on bamboo and other objects was inspired by the work of Su Shi, literary titan and painter from the Northern Song Dynasty. The drive to subvert runs through the series, as the photographic captures of painted objects closely resemble classical Chinese painting. Such blurring of reality and illusion alludes to the art of Bada Shanren (Eight Great Mountain Man), master painter from the late Ming and early Qing Dynasty. anothermountainman’s Lanwei series captures scenes of hundreds of construction projects left aborted due to the bursting of economic bubbles in the previous decade. The images do not reflect solely the issues found in the economic downturn, also capture the failures in other aspects of people’s lives. 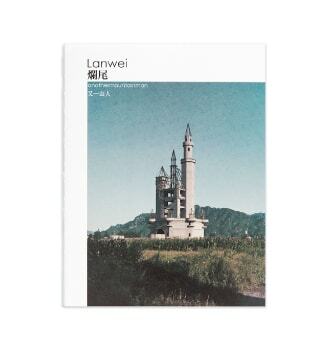 The Lanwei series is collected by M+ Museum, Hong Kong. Heaven on Earth is a photographic series wherein anothermountainman reimagines the concept of home in the context of the modern urban life. Shot in the coastlines in different parts of Hong Kong and Shenzhen, it features a sole bonsai pine tree on a floating wooden boat (sampan) covered in shrubs, evoking the poetic tropes of classical Chinese Paintings.